Who should keep Iraqi Jewry’s archives, saved from Saddam, now on tour in US? 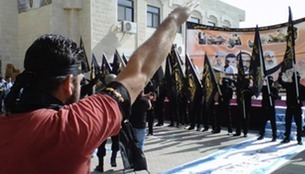 American special forces stormed the basement of the notorious Mukhabarat, the headquarters of Saddam Hussein’s secret police, shortly after the invasion of Iraq in 2003. And while they didn’t find the alleged weapons of mass destruction, nor the Iraqi dictator himself, what they did find was a rare collection of artifacts from the Iraqi Jewish community dating back hundreds of years, including a Hebrew Bible and Babylonian Talmud. 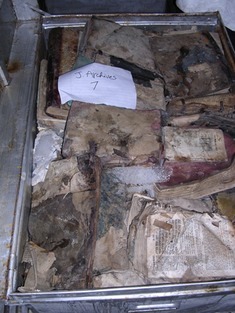 The collection was waterlogged and damaged, and the Coalition Provisional Authority in Iraq placed an urgent call to the United States National Archives and Records Administration in Maryland. With permission from local officials, the treasures were soon airlifted to the US in a special rescue operation. At a cost of $3 million, the collection of over 2,700 books and tens of thousands of documents dating from the 16th to the 20th centuries has been preserved, cataloged and digitized. Today, some are being shown in an exhibition touring the US until they are ultimately to be returned to the Iraqi National Archives in Baghdad. Tutankhamun may be an ancient mummy, but he received a modern facelift, employees of Cairo's Egyptian Museum stated Friday - after his burial mask's beard fell off, and then was hastily glued back together. It is unclear what caused the mishap, the museum's conservators told BBC, as well as whether the beard was removed intentionally or as part of routine maintenance. 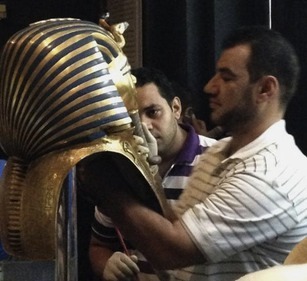 However, an inquiry is underway over the incident, as an employee was allegedly told to fix the problem and put the mummy back on display instead of sending the 3,000-year-old artifact to a conservation lab. 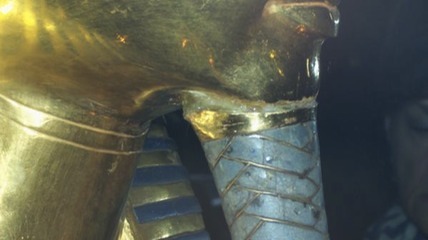 The blue-and-yellow beard was then stuck back together with quick-drying glue, a museum source told the Associated Press. A separate source added that a colleague had used a spatula to remove excess glue, scratching the priceless relic. Photos posted to social media show that the glue is clearly visible on the casing. 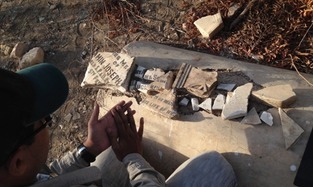 Engineer Fishel (Faisal) Benkhald, a Pakistani who according to his own estimation is the last Jew in the Muslim country, is struggling to preserve the Jewish cemetery in Karachi, Pakistan's largest city with a population of 20 million. Benkhald, whose father was Muslim and whose mother was an Iranian Jew, told the British The Guardian last Friday that he grew up in Karachi and identifies as a Jew, even though his Pakistani ID lists him as Muslim. "I want the government to recognize the Jews as a minority in Pakistan," said Benkhald, who is the only self-declared Jew in Muslim Pakistan, where anti-Semitism is rampant. 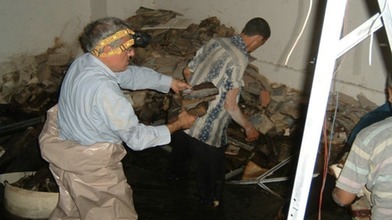 When we interviewed Dr. Harold Rhode, the savior of the Babylonian Jewish archives, he told the story of how he had found them in the water-logged basement of the late Saddam Hussein’s Mukhabarat in Baghdad in 2003 and arranged for recovery and restoration by the National Archives and Records Agency (NARA) in Washington, DC. In July 2003, the Coalition Provisional Authority reached an agreement under international law with the Iraqi interim government for return of the restored Jewish archives. Sari Nusseibeh, the president of the Palestinian al-Quds University, on Friday [November 22, 2013] charged that the president of Brandeis University, Frederick Lawrence, had “gone overboard” in an escalating dispute between the two universities stemming from an Islamic Jihad rally held on the al-Quds main campus earlier this month. Read more @ The Times of Israel. 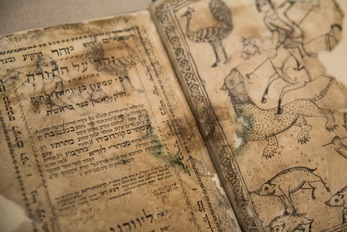 What will become of Iraqi Jewish artifacts? Operation Iraqi Freedom had many side stories, but one of the most important to historians and religious scholars was the discovery of a vast archive of Iraqi Jewish artifacts that had been seized and in some cases stolen from the Iraqi Jewish community by Saddam Hussein and kept off-limits in the basement of Iraq’s secret police headquarters. Read more @ Commentary.